Dr Jaydeep H. Palep is a distinguished Bariatric Surgeon at Nanavati Super Speciality Hospital, practicing in Mumbai since 2001. He has setup the department of Bariatric and Minimal Access Surgery at Nanavati Super Speciality Hospital. He has completed his Bachelors degree from Seth G S Medical College (KEM Hospital) and Masters degree in Surgery from Topiwala National Medical College (Nair Hospital). He has been a teacher in General Surgery departments at reputed medical colleges in Mumbai (LTMMC and Sion Hospital; Grant Medical College and Sir JJ Group of Hospitals) with a cumulative teaching experience of more than ten years. He was instrumental in setting up the Bariatric Surgery program in Kokilaben Dhirubhai Ambani Hospital, Mumbai, starting December 2012 to September 2017. He has now moved to Nanavati Super Speciality Hospital, Mumbai as the Director and Head of the Department of Bariatric and Minimal Access Surgery. Dr. Palep has a 17 year experience in Upper GI and Weight Loss Surgeries. He is one of the first surgeons to be trained at Los Angeles, USA for Banded Bypass, Banded Sleeve Gastrectomy and Mini Gastric Bypass as weight loss procedures in India. He also performs Sleeve Gastrectomy with Duodeno-jejunal bypass, a new and popular Weight Loss Surgery with excellent outcomes with respect to excess weight loss and resolution of Type II Diabetes Mellitus, especially in vegetarian patients. He has also trained in Italy for Robotic GI Surgery (2006-7), a highly advanced surgical technique with greater precision and faster recovery. Dr. Palep has been practising Weight Loss and Metabolic Surgery with Minimally Invasive Techniques (Robotic & Laparoscopic) since 2009. Only 1% of patients have had significant morbidity related to the procedure since the inception, which is at par with global standards. More than 90% of his diabetic patients are now off Insulin & Oral Anti Diabetic Medications maintaining a healthy lifestyle with just diet and exercise. 1. Pandya JS, Palep JH, Dhadas AB, Desai NK. Comparison of rubber band ligation and injection sclerotherapy for first and second degree haemorrhoids’- A prospective clinical trial. Bombay Hospital Journal.vol.46, No.1, 2004. 1. Joshi R.M., Palep JH, Sayyed S., Mehta S. Hepatic Resection: an insight. Indian J Surg 2005;67: 13-20. 3. Palep JH Day care robotic surgery Bombay hospital journal, Vol. 50, No. 2, 2008. 2. Pandya J.S., Desai N.K., Palep JH Gall bladder perforation mimicking acute cholecystitis. Bombay Hospital Journal 2000;vol- 42;3: 527-528. 3. Pandya J.S., Palep JH, Shinkre N.B., Patil N.N, Palan V.A. Tuberculosis of the biliary tract – a rare presentation. Indian Journal of Surgery. 2003; 65: 440-441. 8. Palep J H, Khandelwal N K, Kahale P, Singhal T Mal-Absorptive Bariatric Procedure Causing Keshan’s Disease, Advances in Obesity, Weight Management & Control. 9. Palep JH, Kumaran V, Khandelwal NK Simultaneous Living donor liver transplant with sleeve gastrectomy for metabolic syndrome and NASH-related ESLD- First report from India, published in Indian Journal of Gastroenterology, April 2017.
the field of Bariatric and Minimal Access Surgery for 3 years. 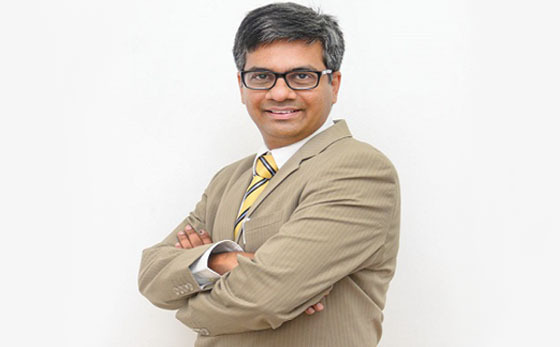 Dr. Khandelwal has been practicing Weight Loss and Metabolic Surgery with Minimally Invasive Techniques (Robotic & Laparoscopic) since 2015. These include Sleeve Gastrectomy (Conventional And Banded), Roux-En-Y Gastric Bypass (Conventional And Banded; also known as Gastric Bypass), Mini Gastric Bypass, SG-DJB, Revision Bariatric Surgery (Adjustable Gastric Band To Sleeve Gastrectomy, Sleeve To Mini Gastric Bypass, Reversal Of Roux-En-Y Gastric Bypass and Mini Gastric Bypass). She also deals with complex and previously failed or complicated weight loss surgical cases. 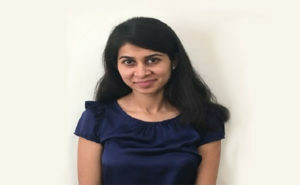 She has published multiple peer-reviewed articles in international journals and is invited across the country and abroad to give talks in her fields of interest. 2. Palep JH, Khandelwal NK, Kahale P, Singhal T Mal-Absorptive Bariatric procedure causing Keshan’s Disease. Advances in Obesity, Weight Management and Control, January 2017. 3. Kumar S, Khandelwal NK et al Simultaneous Living donor liver transplant with sleeve gastrectomy for metabolic syndrome and NASH-related ESLD- First report from India, published in Indian Journal of Gastroenterology, April 2017. 1. Panelist – Post Op Nutrition in Bariatric Surgical Practice, Laparofit 2015. 2. Panelist – Special case Scenarios in Bariatric Surgery, ABC of Bariatrics, Pune, April 2016. 3. Panelist – Importance of post op Follow Up in Bariatric Surgery, ABC of Bariatrics, Pune, April 2016. 4. Panelist – Sleeve to MGB: Most common revision surgery of the future?, MGB/OAGBCON, London, August 2016. 5. Panelist – Nutrition in Bariatric Surgery, Controversies in Bariatrics, New Delhi, September 2017.